Gift certificates may be used for music lessons, purchasing concert tickets, or merchandise (such as our puzzle). They are in the form of a gift card and are very suitable as a gift. They are NOT transferable outside of a household which must be specified at purchase. They may be purchased in any amount of $75.00 or greater. After purchase they may be picked up at the Mountain Top Office, generally open Monday through Thursday, 10:00 am to 4:00 pm. Please call ahead to confirm date and time of pickup. We can also arrange to email an electronic certificate. 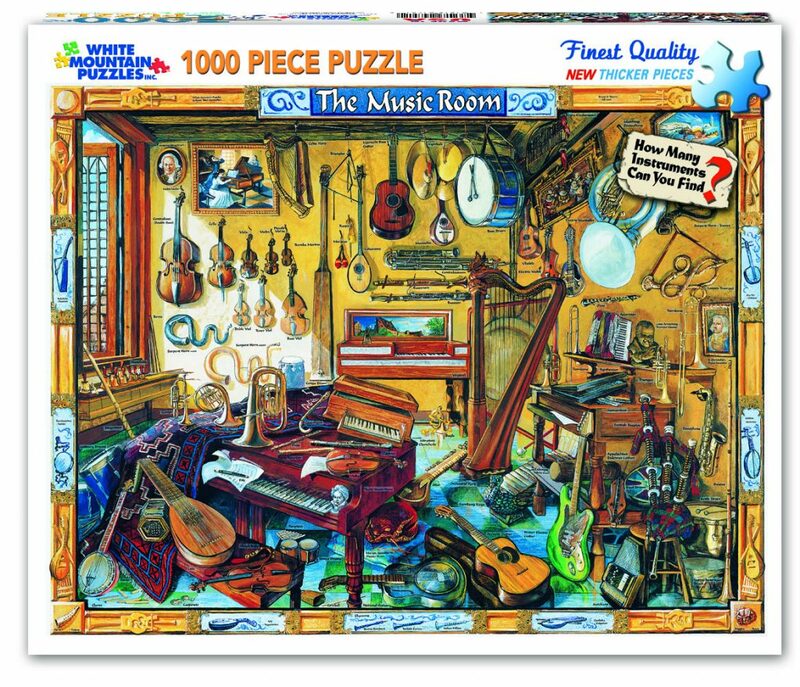 This is a gorgeous high quality 1000 piece puzzle celebrating musical instruments by White Mountain Puzzles and artist Ernest Brown. Click on the button on the right to order. Price is $15.00, excluding shipping. Boxing and USPS shipping to any New England state is $7.35. Please email office@mountaintopmusic.org to obtain the price for shipping to states outside of New England, we will then contact you to obtain credit card payment and shipping details. You may also email if you wish to purchase multiple puzzles to be shipped to the same address. As an alternative to shipping, puzzles purchased on line may be picked up at the Mountain Top Office, generally open Monday through Thursday, 10:00 am to 4:00 pm. Please call ahead to confirm date and time of pickup.